Irma needed to replace the comprehensive IT platform they were using to drive their new digital supermarket – from ERP system to designs for the e-commerce platform – with the goal of optimising the digital customer experience. 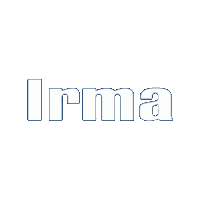 Irma chose to let eCapacity manage the needs clarification, the pre-qualification of suppliers and to conduct the bidding process and supplier selection. It needed to be a solution that could be expanded on over time as the business grew. Identifying needs and preparing the RFP tender documents. Pre-qualification of systems and suppliers of ERP delivery. E-commerce platform development, design and interaction design. Supplier selection and contract negotiations. eCapacity has further assisted”Irmatorvet” with several other tasks, e.g. organisational interface definitions and more. eCapacity based the pre-qualification of suppliers for these types of projects on a detailed mapping of the suppliers who are in the Danish market. The mapping is based on eCapacity’s supplier database, which contains detailed information about individual suppliers, their strengths/weaknesses, their culture fit and skills. The knowledge is assembled from many tender processes and the experience eCapacity have gained from managing a wide range of online projects. Contact Per Rasmussen to learn more about how eCapacity can help with the procurement process and choice of supplier for digital business projects.